Educating and mentoring students is central to the academic innovation process. The National Academy of Inventors’ Student Innovation Showcase offers a unique platform for students to demonstrate their world-changing inventions to the highest caliber innovators, with the aim to recognize and strengthen the culture of inventorship for the next generation. In 2018, student teams from NAI Member Institutions were invited to submit their inventions. Selected teams presented their inventions at the 7th Annual Meeting on April 6, 2018 in Washington, DC. The winning team received the benefit of being matched with an NAI Fellow (an expert in their field) for mentorship in the potential commercialization process of their technology. 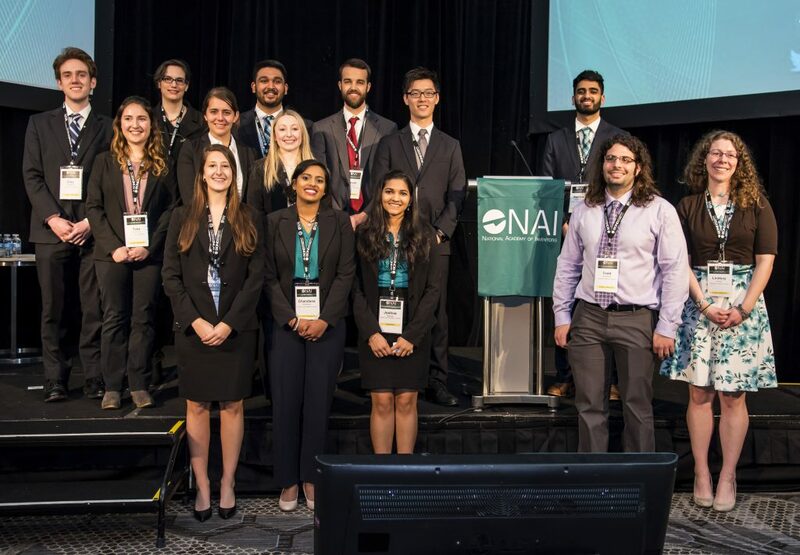 The NAI Program Committee is currently designing our next Student Innovation Showcase as we continue to honor and mentor emerging student innovators who will have the ability to benefit our society well into the future. 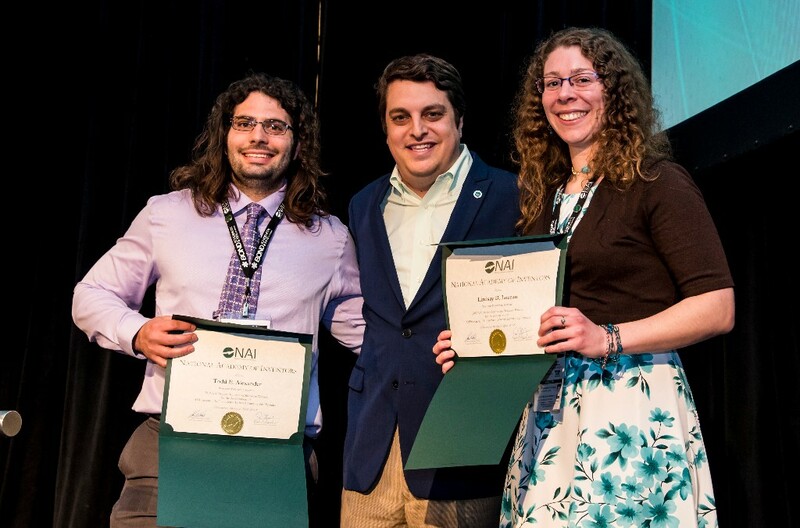 Congratulations to Lindsay Lozeau and Todd Alexander of Worcester Polytechnic Institute, who were recognized for AMProtection, a startup in the medical device industry that developed a novel therapeutic agent to combat catheter-associated urinary tract infections. The 2017 Student Innovation Showcase Winner was Patrick McFarland, of Arizona State University for his technology Korwave, a mobile, easy-to-use, and discrete EEG that continuously monitors brain activity and calls for help when a seizure occurs. Questions? Email [email protected] or call 813-974-6414 for more information.